Use the durable features of the 15 oz. Stainless Steel Double Wall Tumbler to make a long lasting impression of your brand name and logo. The tumbler is made of BPA free stainless steel material and meets FDA requirements. A screw on, spill-resistant flip top lid prevents accidental spills during usage. The tumbler has a double wall construction and plastic inner liner for insulation of hot or cold liquids. 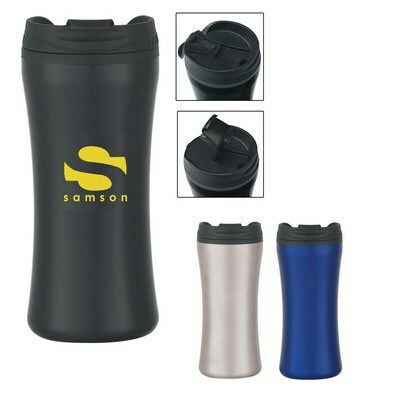 Imprint your business logo on the tumbler and give it away at promotional events for effective brand advertisement.